Hairtrade, the UK's leading retailer of hair extensions, clip in hair extensions, hair care and beauty products has introduced a new Paul Mitchell range ideal for curly hair and to get this seasons hair trends. Award winning Paul Mitchell hair care combines quality ingredients and the latest technology to ensure top performance and flawless results. It specialises in luxury products at affordable prices to give the salon feel every time. The first product in the range is the Paul Mitchell Curls Spring Loaded Frizz-Fighting Shampoo. Its rich lather gently cleanses curls without roughing up the cuticle to fight frizz from the start. It cleanses, detangles and conditioner in one step whilst being ultra-moisturizing and sulphate free. Next is the Paul Mitchell Curls Full Circle Leave-in Treatment which is a light-weight conditioning treatment that won’t weigh hair down. Its formula helps to hydrate, detangle and tame frizz while replenishing thirsty locks and protecting against damage. The range also includes two styling products, the first being a crunch-free curl definer. 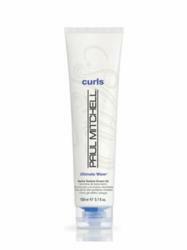 Paul Mitchell Curls Twirl around has a dual formula that swirls together a hydrating cream and a smoothing gel. It defines, separates and tames unruly curls without frizz or crunchiness and helps curls retain their shape and bounce. The final styling product is ideal for summer hair styling – the Paul Mitchell Curls Ultimate Wave. The cream-gel creates beachy textured and tousled waves as it forms, separates and adds texture. It is also humidity resistant for frizz-free styles. The Curls range is also available in handy travel sizes, ideal for taking on holiday or any summer trips. The Paul Mitchell Curls range is available from Hairtrade now.